Hands-on MDs are essential for the recruiting industry, where demand for highly-specialist skills is always changing. However, bosses can often appear too remote, out of touch with what’s happening on the ground in their consultancy’s specialist industry. At ESA Group, we think they should be seen on the phone, speaking directly to candidates and clients, remaining involved in the recruiting process and the general day-to-day tasks. After all, someone who combines years of recruitment experience with up-to-date industry knowledge is well-placed to match a candidate’s unique skill-set to more niche positions. It is therefore essential that they speak the language of businesses they represent and be as confident interviewing a potential CEO as they are speaking to an entry-level developer. It is also really important that strong leaders demonstrate a strong work ethic and close understanding of what clients need right now. We believe there is tremendous value in showing your team that you are still involved in every aspect of the company. By breaking down hierarchies, you can ensure that people feel supported at every stage; sharing in their frustrations and embracing the sense of satisfaction that comes with a successful hire. Open-door culture promotes shared learning at ESA Group. It goes without saying that junior consultants benefit from shadowing those who have been in the profession for longer, right up to director level. However, MDs can learn a lot from their younger colleagues too. 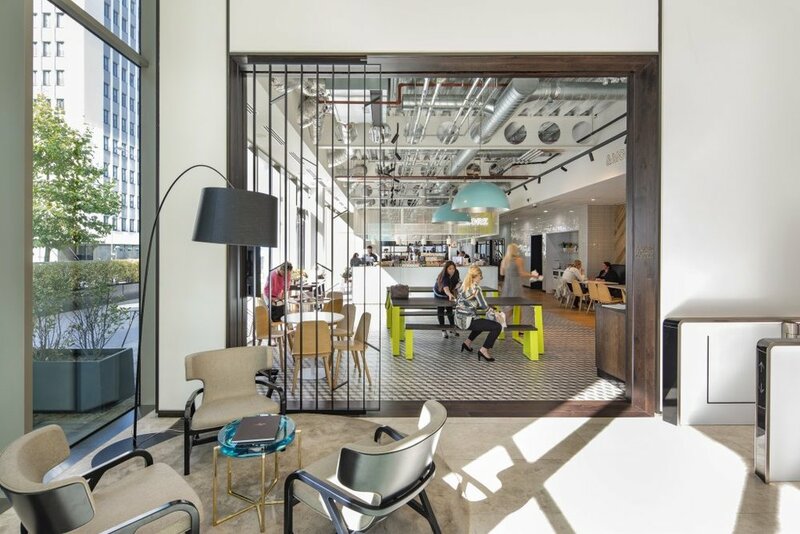 Fostering an open-door culture means senior managers are more likely to hear about the latest trends, observe the dynamics of their team and spot talent within their workforce, enabling them to nurture and take full advantage of their team. Recruitment, like other industries, has become an extremely social profession. Using platforms such as LinkedIn allow you to stay in touch with candidates beyond the initial hire. For example, if a candidate you placed years ago drops you a message, this time as a client, it is an opportunity to build on a pre-existing relationship. It expresses to the client, candidate and your own team, the level of care in your work, proving that you value your candidates and clients time. At ESA Group we firmly believe it is essential that MDs keep the latest industry developments and insights at the forefront of their minds. This equates to remaining involved in the operational side of the business, to help secure clients and guide and support their team. Of the 40,000 or so recruitment consultancies operating in the UK today, the winners will be those who commit their whole team to staying close to their markets. Are you looking for an opportunity to further your career with a fast-growing, UK-wide recruitment specialist? ESA Group specialises in placing top talent around the country in marketing, technology, and sales roles. As we continue to grow our service offering and global reach, we are interested in hearing from consultants with experience in recruiting across all professional services sectors, also including finance, procurement, supply chain, engineering and financial services. This year, we are embarking on a period of significant change. We are saying goodbye to our old home in Edgbaston, and relocating to the centre of Birmingham’s bustling commercial district. 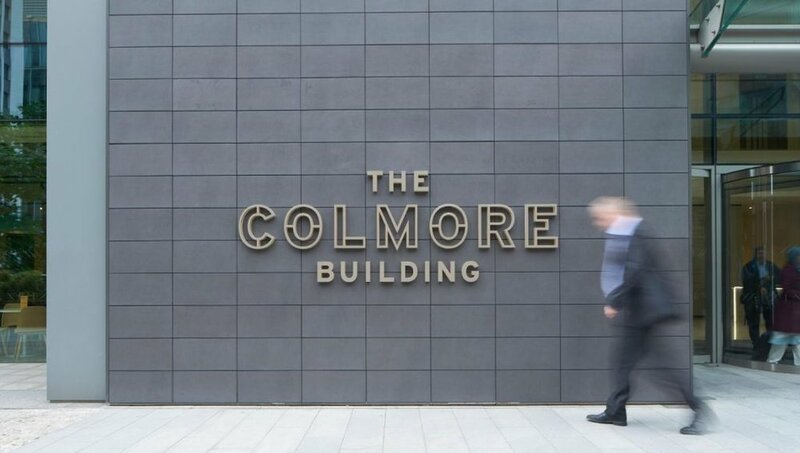 From this March, we will be found at the newly launched Colmore Building. As well as its fantastic central location, this new development benefits from a host of envy-inducing amenities such a state-of-the-art 6,000 sq. 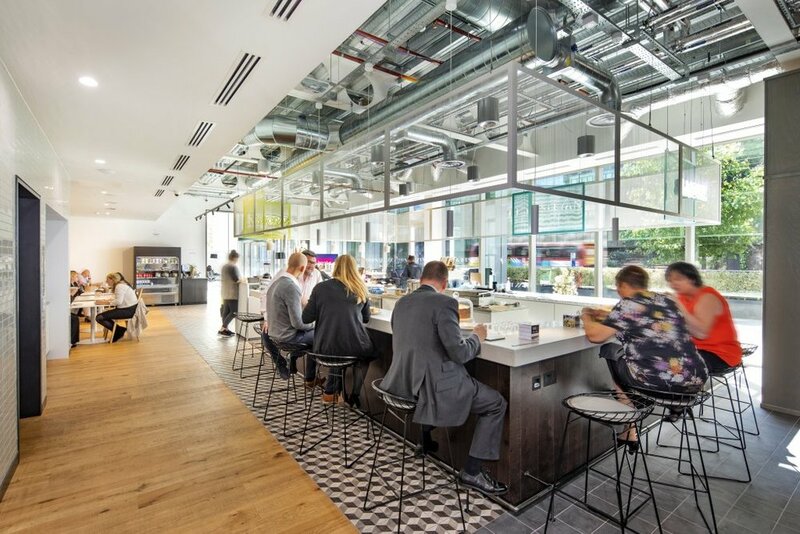 ft. gym, an on-site all day coffee house serving breakfast, lunch and snacks, beauty treatment rooms, doctors surgery, and even a dry cleaning service. In taking on this extensive space, we are setting ourselves the bold target of doubling our current number of consultants in 2019. We are already off to a flying start this year, celebrating record turnover and profit figures in January, and this is only the beginning. With this great change, comes great opportunity. Which is where you come in. We take great pride in our consultants, nurturing their talent to encourage growth within our business. Now is a particularly crucial time to join ESA Group, as those joining the business now will have the potential to secure a management position in the coming years. This is an exciting time in our history; so if you are looking to build your career in recruitment at a leading global specialist, then apply today. For more information, call the team on 0121 516 3850. It’s easy to get disheartened if you’re desperately trying to find a new job and NOTHING is working. But, just because you haven’t found the right job yet, it doesn’t mean that it will never happen. Even something as simple as making a few small changes to your application could greatly increase your chances – you just need to know where to start. How many CVs are you sending and hearing nothing back? Perhaps it’s time to look at your CV format. One of the hardest things to do is to look at your CV from another person’s perspective. Is your resume going to catch the eye of a potential hiring manager? You could be including the same clichés and mistakes over and over again – just because you’ve read your CV so many times that you haven’t realised that they are actually there. Take some time to go back through your CV, check each line, reassess the format, and ask a friend or family member to give their opinion. Just a few simple tweaks could make a huge difference. You could also look at our CV tips for some helpful advice. If you’re sending the same application to every opportunity, unfortunately you are doing it wrong. If you take the time to tailor every application to every opportunity, you’ll really start to stand out. One of the best ideas we’ve found is to take the job description for the job your applying for and specifically write your CV around it. Rearrange your key skills, achievements and personal statement around the requirements of the job. Likewise, use your CV to inform your cover letter. Write about why you want the role and include valid reasons why you are the best person for the job. Don’t just say why you want this opportunity, explain why you are the perfect candidate for the role. If you’re still not getting many responses, you may have set your sights too high (or too low). This isn’t just a waste of your time, it’s also REALLY bad for your morale. So, instead of applying for positions which demand a lot of experience, or qualifications you might not yet have, think about whether you’re really right for the job. Alternatively, you might want to try expanding your search parameters. Instead of focusing all of your efforts on your dream job, think about other potential avenues of employment that would utilise the skills and abilities you’ve accrued to date. Widening the net might actually end up being the best thing for your career. If you can’t find the perfect permanent job, why not try temping? A lot of people are reticent about not having a full-time position, due to the lack of full security that it provides. Whilst we are never going to argue that temping is right for everyone, just by looking for temp work you are immediately surrounding yourself with less competition. With less people applying for these opportunities, the more likely you are to be successful. Plus, just getting back on the horse can do wonders for your motivation, not to mention your bank balance. Temping can also boost your employment prospects, helping to fill any unexplained periods of unemployment with practical experience. You could also try volunteering, taking on an internship or looking for work experience, which will help get your name in front of the right people – not to mention provide some instant added value for your CV. As a result, you’ll show off your dedicated work ethic and a willingness to turn your hand to anything, even if it’s not your ideal role. And that’s something all employers will find attractive. Recruitment isn’t just about applying to online adverts. In essence; it’s about the right people finding the right people. We are all human after all! Face-to-face meetings can sometimes be more valuable than any online interaction, so cultivate your network of contacts in your chosen field by reaching out to them for an opportunity to discuss work. Even if they can’t point you in the direction of a vacancy, there’s every chance they know someone who can. Finally, never lose sight of the light at the end of the tunnel. No matter what industry you’re in, job-seeking isn’t always an easy process. But approaching your search with a good level of self-awareness and a positive mindset can make a big difference when it comes to finding the right role. You’re in an interview and it’s going well. The rapport is good and you’re feeling confident in all the questions asked of you so far. Let’s say the employer’s budget is (secretly) £30,000 p.a. If you answer too high, say £35,000, you could instantly turn off your interviewer. If you answer too low, say £27,000, then what’s to stop the interviewer offering you the £27k? For job seekers, the salary question is a bit of a poker game. The goal being to get the hiring manager to lay down their poker cards on the table first. That’s because, once you share a specific salary number, you might just have priced yourself too high (or too low) for the position. Before you even speak to a hiring manager, spend some time conducting research to find out average salaries and salary ranges for similar jobs in your area, industry and geography. Websites you can visit include: Monster, Glassdoor, Payscale and Reed. The more information you have, the more you can be armed with the right knowledge to negotiate. The earlier you tell a hiring manager your salary expectations, the less negotiating power you have towards the end of the process. Your aim should be to understand if you’re the right fit for the job before the hiring manager offers you a position. If you do get asked early in the interview, or before the interview even starts, let him / her know that you’d ideally like a better understanding of the job requirements and how well you think you can meet those needs before discussing the salary. When it comes to discussing salary during job interviews, avoid sharing with the hiring manager what you currently make. Focus instead on getting them to share the salary range they’re willing to pay. This isn’t always easy and you’ll need to be professional and respectful in your approach; however, it will help you walk away much closer to your desired salary. For more advice, take a look at our blog or the candidate support pages on our website. It’s common for hiring managers to use telephone interviews as the first stage of a job interview process. Largely, it’s down to cost. 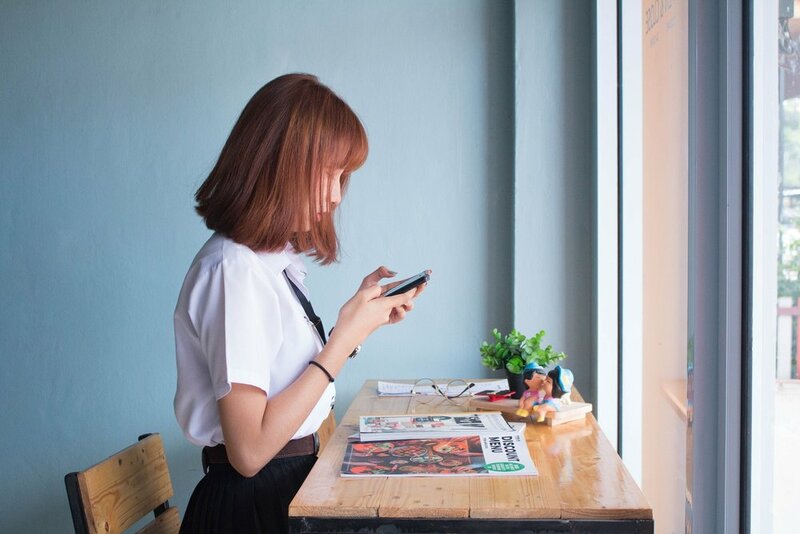 Using the phone, rather than a face to face session, means that businesses can screen many candidates quickly, with the lowest overall expenditure. 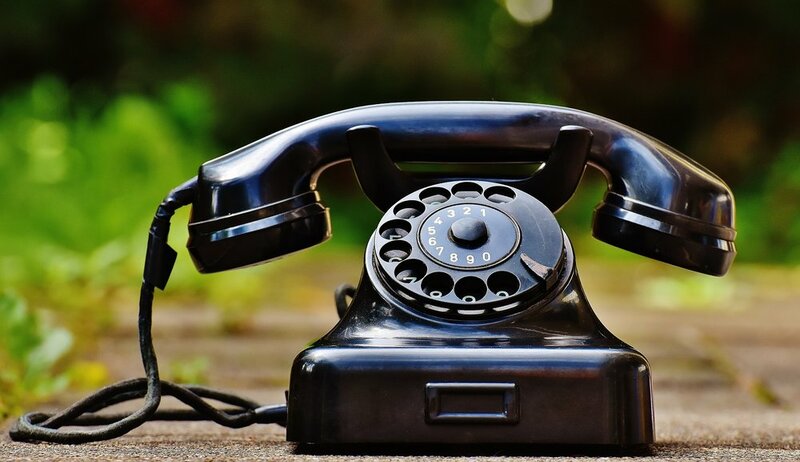 Although a telephone interview is relatively straightforward, even highly capable candidates can be rejected at this early stage if they are inadequately prepared or not used to speaking in a professional manner over the phone. 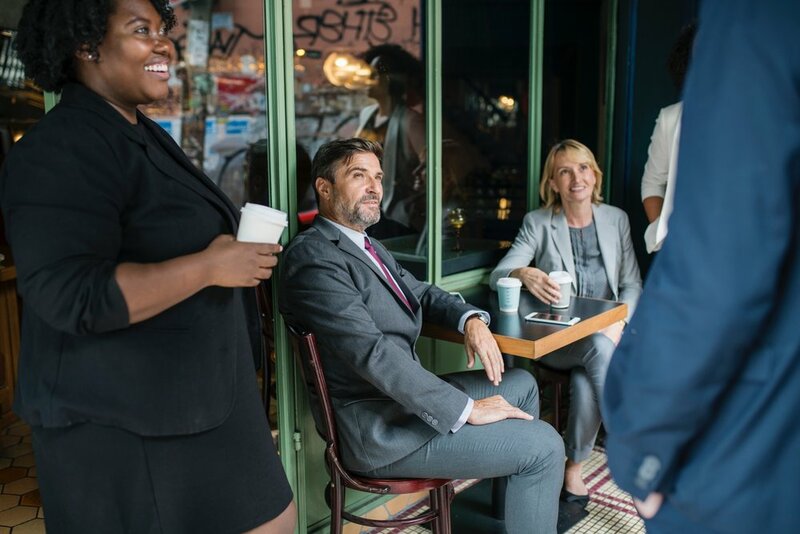 For many candidates, the whole situation can feel unnatural - without eye contact it can be difficult to build rapport and display a strong personality with your interviewer. Ensure you are prepared well in advance, once the interview is booked. Find a quiet space, with good mobile signal (assuming you’re not using a landline), preferably indoors and free from distractions. Don’t forget to charge your mobile too! Practice is useful, especially if you haven't worked in an office or used a telephone to talk to clients in previous jobs. If you can, try getting friends or family members to call you and ask interview questions. Candidates who don't think they'll have any trouble with this style of assessment are often the ones that have difficulties. It is important to find out as much as you possibly can about a company, and a job role, before any type of interview; a telephone interview is no exception. You may receive some information from your prospective employer, but make sure you also visit their website, competitor websites, read relevant trade press, and keep aware of current industry-specific commercial awareness issues. Be aware of the size of a company, its structure, its products and services, its markets, competitors, and future plans. Plan for possible questions you may be asked before your interview. Consider answers you can give, including good experience examples for competency based questions. It may be wise to prepare an ‘elevator pitch,’ i.e. a set couple of sentences describing why you’d be perfect for the new opportunity. Lastly, asking your own questions shows you are interested in the company and job role. Ask questions that are relevant to you, but not questions that it would be easy to find out the answers to with a little research on a company website. Although it may sound strange, putting on smart, interview-style clothes before your scheduled telephone interview can help you to focus and get into a professional mindset. Before the session, you could study some relevant material on your company or industry before the scheduled call so that your mind is already focused on work. Make sure you smile when answering your phone. If you force yourself to smile, you physically become more relaxed and therefore your voice will sound more confident, friendly and assertive. Standing up, rather than sitting down, can be a good way to keep your confidence and enthusiasm levels high. Professional salesmen use this technique to keep them focused and alert when making high-pressure sales calls. You might consider using a headset, if you have one, which can help you concentrate on talking and thinking, rather than holding your phone. It also allows you to use your hands to complement your responses. Finally, make sure you keep a copy of your CV, cover letter, application form, and any notes you may have made on the company in question to hand. Telephone interviews will usually be time limited, so questions will tend to focus on your work experience and academic history; your motivations for applying to the firm in question, the particular industry and job role; your knowledge of the firm itself (i.e. competitors, global reach, future plans); and your skills, qualifications and competencies. Part of the reason why firms conduct a telephone interview is to find out how keen candidates are about working at their company and in the particular job role applied for. It is important to be enthusiastic throughout your telephone conversation, but make an effort to be forthcoming at the close. Your interviewer may be able to tell you at the end of your conversation if they would like to see you for a face-to-face interview. If they do not, there is no harm in asking when you might hear from them regarding the next interview stage. If they do, thank your interviewer and ask them for some further details, such as: when, where and with whom your interview will be; if there is anything you should bring with you to the interview, what the interview format will be and how many people you will be up against; and, what are the crucial skills and key competencies the employer is looking for in employees. This article was based on an original piece of work by Wikijob. We thank them for their permission to use it. Being a great leader is more than just having a high-ranking title and having some team management authority. Even if you have the ability to delegate, if you're an ineffective leader, you won't be able to guide and motivate your staff to accomplish their goals. No one on your team has criticized one of your ideas in the past month. You spend more time planning your own career progression than planning that of your team members. You haven't had at least three completely non-work related conversations with a team member weekly. Different team members would provide different answers if asked your top three priorities for the year. Team members are afraid to fail. Leading a group of people requires a mutual sense of trust and understanding between the leader and the team members. This means that you’ll have to build your team’s trust and they’ll have to learn to trust you. There’s no wrong or right way of doing this, but the best leaders communicate often and are transparent in their thinking. They’ll also take the time to figure out which communication mode is preferred by each team member and are authentically interested in any feedback received. Once you've mastered the art of communicating and connecting with your team members, you can really get to know them — who they are, what they're interested in and what their talents are. You can know your mission and vision, but it is equally, if not more, important to know your people. If you care about and take care of your people, they will take care of your customers, and ultimately, you will accomplish your mission. If you want your staff to do their best work, you need to give them the freedom to brainstorm and explore. Be open to your team's ideas and suggestions, and be ready to consider them and possibly develop them further. A good leader also gives the team new challenges, preventing them from becoming bored and complacent while showing confidence in their potential. As much as leaders wish that their team's day-to-day operations could run smoothly all the time, they're bound to run into the occasional obstacle. Whether it's a minor miscommunication or a major error, the way a leader handles a negative situation says a lot about his or her leadership skills. An effective leader knows how to show others what is required, rather than simply telling them. Leaders should coach their team members toward a more collaborative, committed work environment — without coaxing them. If you’re controlling people to do certain things in certain ways, you're not going to get the level of engagement that you're looking. Coaching is about helping the people you lead recognize the choices they have in front of them. Direct, honest feedback — even if it's criticism — is often the best way to guide your team in the right direction. You also need to know exactly where your business is headed, so you can give them the right advice. If you're not direct, people won't know what you truly think about them and their work, and they will never be able to improve. Always share constructive feedback about anything that the team or each team player does. Positive feedback is as important as negative, and a good leader strives for balance. Your team members aren't the only ones who can benefit from honest feedback. A true self-assessment of your own leadership can be difficult, so mentors, fellow professionals and even your own staff are invaluable in evaluating your effectiveness. Talking to friends and peers often brings needed perspective on your leadership approach and style. Leadership coaching can also help you discover areas that need improvement.